My current group workshop offerings are listed below. If you would like to be kept up to date on announced workshops, please sign up for my mailing list by clicking this link. Are you looking for something completely different and customized? Consider booking a custom built Private Workshop! WHY TAKE ONE OF MY WORKSHOPS? I know that there are many photography workshops out there and that it can be hard to choose. When you take one of my workshops you are receiving my highest level of attention and service. From initial communication to well after the workshop ends, I am dedicated to helping you achieve your photographic goals. I am not a passive guide or teacher. I am there every step of the way making sure that you are aware of the hazards present and to lend a helping hand or steady boost. My priority is getting you in the right places at the right times SAFELY. I understand that each client has different needs and I approach each individual based on their preferred learning style. I communicate in clear and thorough ways that are easy to understand. My personality is laid-back, approachable, and supportive. I’ve had clients of all kinds: from Iron Man types to clients with mobility concerns and I'm certain that they would tell you that I made it work, took care of them with care and patience, and got them in situations where others haven't been able to. Some clients, if they were comfortable, I've helped push through their fears head on and many of these clients have taken multiple workshops with me. YOU are my priority, not my own photography and I will drop whatever I’m doing to answer your questions or cater to your needs. And lastly, many of my workshop participants keep in touch with each other and myself after the workshops. They valued their experiences enough that we came away friends, all having grown as individuals in the company of each other doing what we love: photographing nature and having a blast during it all. Below the listings you can read testimonials from past clients and learn why they had decided to attend my workshop and how much they valued their experience. I advise reading my Photography Workshop FAQ and Cancellation Policies page if you are interested in attending. 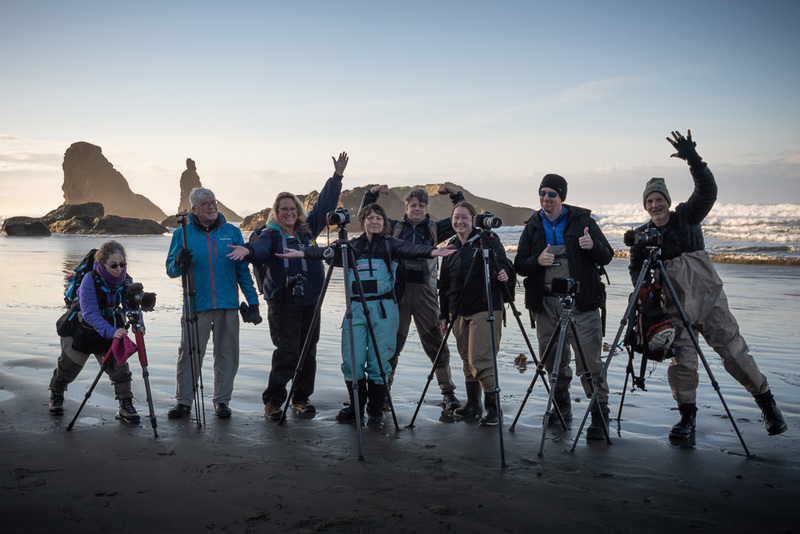 Join me on one of my most popular workshops as we follow the weather and tides along the beautiful and rugged Oregon Coast. 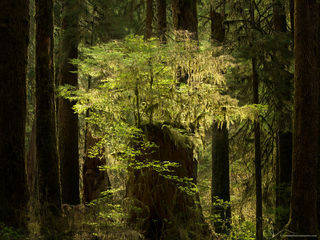 Join Eric Bennett and I on a 'Slow Photography' Workshop in the lush and fairytale forests of Olympic National Park. Join me on a short workshop where we will photograph some of Oregon's most scenic waterfalls during Spring Peak! Join Alex Noriega and I as we lead a photography workshop that takes you through the desert landscape of Death Valley National Park. An optional 2-day add-on after the Death Valley portion will bring you to the dramatic Eastern Sierra mountains. “Of all the workshops I have been on (which is quite a few), the Wonders Of Oregon workshop I did with TJ in the fall of 2016 was by far my absolute favorite. TJ is not just an incredible teacher, he’s an incredible person. What struck me most about him is that he was individually invested in everyone that was there... he never shot for himself (only had his camera out to do a test shot a time or two to explain something) and he checked on individual clients often. That is a rare thing these days in my experience with photography workshop leaders. His passion for the environment and intimate knowledge of the areas we visited all across Oregon was phenomenal. He gave a lot of suggestions in the field and directed us to compositions not generally seen. He really knows the area and wants to make sure his clients come away with not only great images but also experiences they will remember for a lifetime. Finally, his encouragement in the field extended beyond photography, he was also great at building personal confidence. I was having issues with heights at the time and his gentle support and encouragement eased my anxieties and greatly enhanced my experience. I have since recommended him to several of my photographer friends who have sought photography guidance in the area… all have returned from their experiences with the same deep appreciation of TJ as a photographer, a teacher, a person, and a friend." 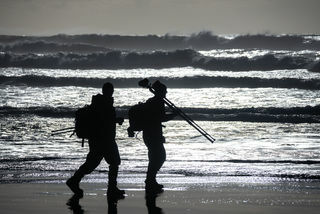 "I have long been an admirer of TJ's work and when I saw he was offering a workshop at the Oregon Coast I was intrigued. However, since I’m from Oregon, I thought "Why would I pay to go to places that I have gone to before?". But thankfully, I took the plunge. This workshop with TJ far exceeded my expectations. Even though I went to a couple of places that I had been to before, I also went to quite a few new places that were absolutely amazing. And even the ones that I had visited before, seeing them through TJ's eyes, I felt like I was seeing them for the first time. I gravitate towards the Grand Landscape scenes which this workshop provided in abundance. But an area of weakness for me, and one that I desire to grow in, are the intimate scenes. The intimates are the images that TJ naturally sees when he is out looking for compelling images and he was great at pointing out these opportunities. TJ is also an excellent mentor and workshop instructor. He constantly checked in with each workshop participant to see if we had any questions for him. And when we did have questions, he spent ample time explaining and assisting us. TJ also pointed out how we could improve our compositions by moving more to the left or right to put ourselves in spots with leading lines and more interesting foregrounds. TJ would often show us some of his shots which would give us ideas of images that we were totally missing. I believe I might have been one of the only participants that had never done a workshop before and so many of the participants commented on how this workshop with TJ was one of the best they had ever attended. I am thankful I picked a great one for my first and know that this won’t be my last workshop with TJ. I can't thank him enough for the great experience and for spending time reviewing my images once I was back home. Unbelievable - who does that? No one...but TJ." 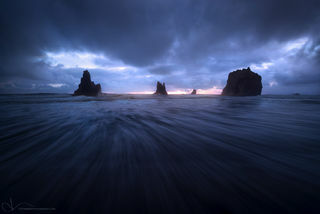 "Last week I attended an Oregon coast photo workshop run by TJ Thorne. 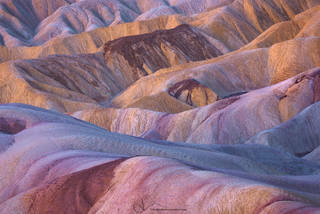 I have been to a number of workshops, several of which have been run by famous photographers who are very accomplished. I would have to say that this was the best-run workshop I have been to. TJ went above and beyond my high expectations in providing us with fantastic photo opportunities, help with compositions, clear directions and scheduling, etc. Even better, he is truly passionate about what he does and he is just a really good guy to hang out with. I hope I get to do another workshop with him again, hopefully sooner rather than later." "I normally plan all my trips and photos myself, but this time I joined a photography workshop and enlisted the aid of two landscape photographers that I have admired for years: Ted Gore Photography and TJ Thorne Photography. Ted's processing and composition are off the charts, and TJ shows his passion for nature, exploring, and fun through his consistently excellent photographs and stories. I felt like I was getting to the point with photography that I could use more structured instruction from experts. Honestly, I was really nervous about if I'd get my money's worth (having never been on a workshop before). Would I get along with a group of complete strangers? Would we be taken to hard-to-find spots or just go to roadside attractions? Would the instruction bore me or challenge me? To say I had a blast and got my money's worth would be an understatement. First of all, the gorge is absolutely packed with some of the most gorgeous waterfalls, streams, and nature in the world. Ted and TJ were fantastic guides and genuinely cared about teaching their methods and giving their thought process for in-field techniques, composition and post processing. The material was pretty advanced but they were very patient and detailed, and I think it will benefit my photography greatly going forward. Also, we went to some pretty secluded and difficult to get to areas. A lot of the hikes were straight-up strenuous and included scrambling, rock climbing, incredibly steep muddy/full of loose rock hills, wading through rivers with fast currents, climbing over slippery logs, avoiding tons of poison oak, and walking through areas you would have to be crazy to go to. At the same time, they made sure I always felt relatively safe and comfortable (or at least aware of risks and danger). At the end of each day I felt like I accomplished something great. Additionally, both of them were really fun to hang out with. It was refreshing to talk about the style of photography I am passionate about on an advanced level. By the end of the week I felt like one of the guys, making plenty of immature jokes, talking about life, and enjoying the hikes and scenery. I hope to see them again someday." "I've done a number of workshops and can say that TJ and Ted's was among the best. Be forewarned, their workshops aren't for everyone -- or most people, for that matter. Don't expect to get out of the car and shoot. But then the best photos take the most effort. In short, they'll take you to locations others won't. Moreover, both are great teachers and complement each other well. TJ is the consummate teacher and clearly enjoys helping others learn -- and laugh. (He's a blast!!) Ted has few equals in terms of Photoshop artistry -- and he has the ability to communicate what/how he does it clearly. I would highly recommend both if you're looking to take your photography to an advanced level." 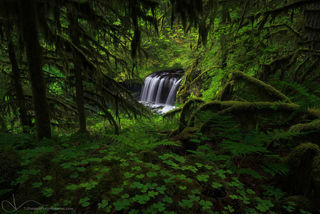 "Over couple of years back I had gleaned through an image of Panther Creek Falls. Though at that point of time I had very little knowledge of photography, the scale, stream distribution and overall form and of this waterfall had consumed me wholly. And thus began my relentless research. I don’t drive and it quickly dawned on me that navigating the Oregon and adjacent areas isn’t easy. As I combed through some local photographers from the area who shared my passion, I accidentally stumbled upon my biggest find of the last several years – TJ Thorne. A master photographer, thorough gentleman, superlatively humble, intelligent, empathetic and yet gritty at the same time. We developed a great bond during the trip and I have never ceased to admire his intricate knowledge of the terrain and light conditions alike. I’m already yearning to get back to Oregon to share a toast with him (non-alcoholic)." "I tremendously enjoyed working with TJ. In a short 2 day private workshop, not only did I take away many breathtaking photos we did together, most importantly, I took away the knowledge he passed on to help me become a better photographer. The knowledge transfer is what I value most in this workshop. The photos are stunning and epicness of the coastal line and the waterfalls of Portland, but the tips, tricks, and the best practices that TJ offers will stay with me from location to location. TJ is fun to be with, patient, creative, very personable, attentive to the micro detail, and a good listener. BTW, did I also mention TJ is a nature enthusiast and aficionado? I will definitely look TJ up for my next photography adventures." "I recently attended a workshop in the Columbia Gorge with TJ. I found the instruction and knowledge of the area to be excellent. I have attended a number of workshops over the years and I found that the instruction on this particular workshop was among the best I have ever received. The instruction was excellent and applicable for anyone at any level of photography. Thank you TJ!" "This was hands down the best workshop I have ever attended. You went above and beyond. Thank you for the additional resources for iPhone, web sharpening, luminosity and other photographers' sites. Your photography and processing skills are first rate but your stewardship and thoughtful caring for the natural resources and tending to our individual needs made a lasting impression on me. Please keep on doing what you're doing." "I have been to several workshops in different countries, but this was the best not only because the beauty of Gorge but also because of the awesome instructor. TJ is really nice guy, easy going, has sense of humor, is in love with nature and an artist. He keeps checking in everyone to make sure that we’re in the right spot with the right camera settings to get the best shot. He almost never used his camera, he just spent his time checking on us every few minutes and gave us new techniques in shooting waterfalls. His post processing techniques are excellent and the way he explains things make it easy to understand everything. I highly recommend him." 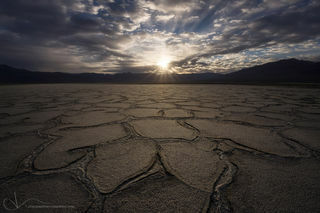 I joined Alex and TJ for their Winter Death Valley workshop in 2019 and had a fantastic time. As well as enjoying a lot of laughs with the group I found the instructors to be 100% committed to finding great light. We stopped by the grand scenes that the region is known for but even more valuable to me was that they helped us to see beyond the apparent compositions to search for something unique. I came home with some iconic shots, abstracts, and intimate scenes and with inspiration to see the landscape differently. They helped us notice the subtle as well as the sublime. I recommend Alex and TJ's workshops for shooters of all experience levels. I am sure that you will learn from their point of view. "Just wanted to put this out there that your tutorials are by far the best I have found to date. I have tutorials from a lot of the big names out there. Your tutorials are great because your flow with speech is amazing which is important to me. A big one for me is you speak very clearly and aren't whispering and explain everything. I find it frustrating when I’m going through a tutorial and the speaker does all these things, but does not explain clearly or at all for that matter on how to do them. With every key you hit on the keyboard you explain how and why from start to finish. That’s super important to me for my style of learning. I need every step whereas some guys don't explain these steps and it leaves gaps. It's piece of mind knowing that every time I purchase one of your tutorials, everything will be explained in great detail."